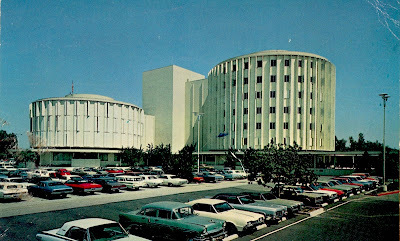 The opening of Valley Presbyterian Hospital in 1958 made a major impact on health services in the mid-San Fernando Valley. Unique circular medical enter, located in the San Fernando Valley. Formed for interesting and efficient design and high quality patient care. 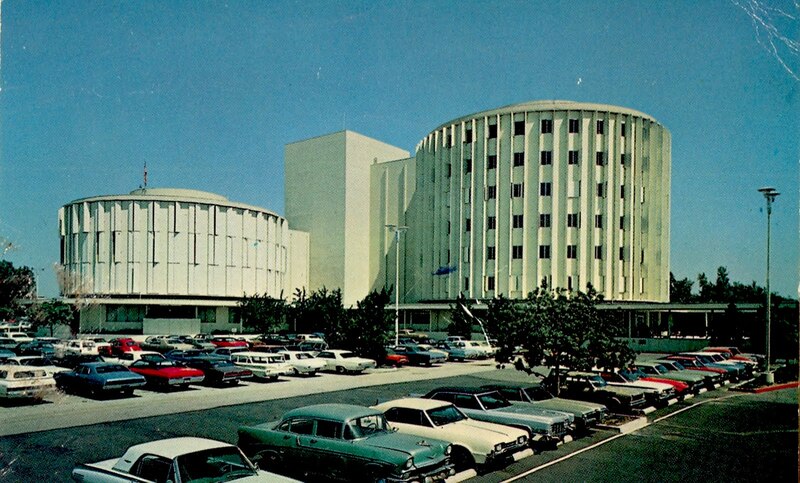 A non-profit, interfaith hospital established in 1958, it stands as a living tribute to Valley residents, whose time, energy and money helped make this long-time dream a reality. "I was surprised. I have never seen this hospital from an all sides. A block from Sepulveda. The rooms are on outside of circle. (Grandma was on 2nd floor of big one).and nurses, storage and such in center." This picture would have had to been taken in at least late 1970, or 1971 because the red car in the second row third in is a 1971 Chevy Impala. Love this hospital, both my kids were born there in 1985 & 1987.